Grand Design RV is rather new to the industry, but their leadership team certainly is not. The company was founded by Don Clark, and brothers Ron & Bill Fenech who each have over 25 years of experience in the RV industry with some of the leading brands in existence (Including Keystone which is the largest manufacturer of travel trailers and fifth wheels in the world). The ultimate focus of Grand Design has been the customer since day one. Grand Design actually meets with their customers several times per year to discuss where improvements can be made, and to better understand the needs of the RVer. They then innovate and design improvements to their RVs based upon this feedback. If you truly want to be a part of driving major decisions within the RV industry, then you need to consider buying a Grand Design RV. 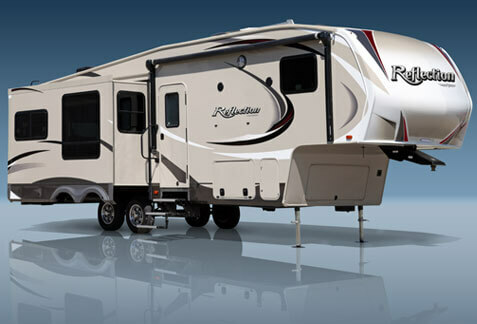 Grand Design Brands include the Solitude fifth wheel, the Reflection fifth wheel, and the Momentum fifth wheel toy hauler. More Brands and models with be released this coming year.